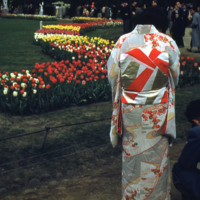 Japanese Gardens have grown to encompass many styles since they were first developed. 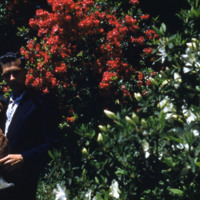 They were developed under the influence of Chinese gardens, but eventually their styles and designers moved in a direction distinct from Chinese horticultural display. Japanese gardens had their own distinct appearance by the Edo period that was based on Japanese culture and used Japanese materials. Some Japanese garden styles include karesansui, Japanese rock gardens or Zen gardens, which are meditation gardens where white sand replaces water; roji, simple, rustic gardens with teahouses where the Japanese tea ceremony is conducted; kaiyū-shiki-teien, a promenade or a stroll garden, where the visitor follows a path around the garden to see carefully composed landscapes; and tsubo-niwa, small courtyard gardens. 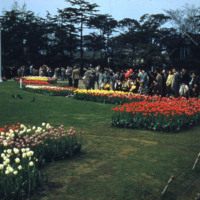 During the Showa period (1926–1988), many traditional gardens were built by businessmen and politicians. 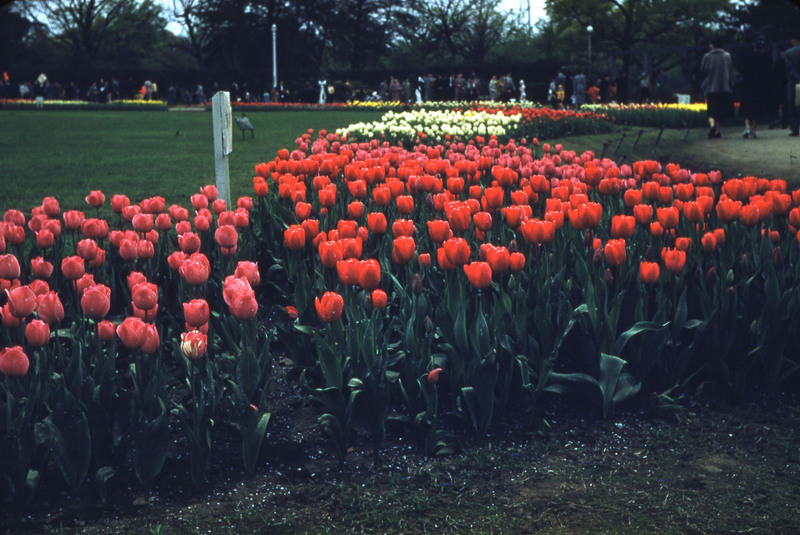 After World War Two (1939-1945), the principal builders of gardens were no longer private individuals, but banks, hotels, universities and government agencies. 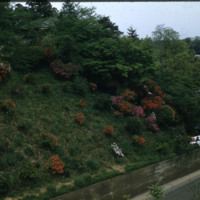 The Japanese garden became an extension of the architecture of the building. 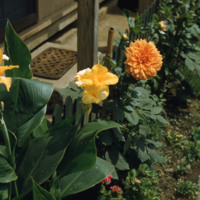 New gardens were designed by architecture school graduates, and often used modern building materials, such as concrete. 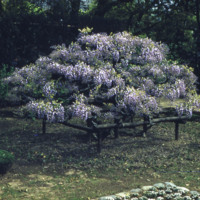 Wisteria (also known as fuji) is native to the eastern United States, China, Korea, and Japan. A great wisteria blossoms at Ashikaga Flower Park in Ashikaga, Tochigi, Japan, the largest wisteria in Japan. 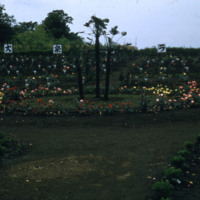 It is dated to c. 1870 and covers approximately 1,990 square meters (half an acre) as of May 2008. The flowers of some wisteria varieties are edible, and can even be used to make wine. Others are said to be toxic. 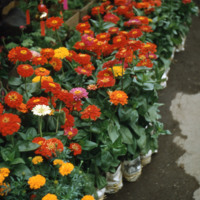 Les Jardins- Paysagistes, Jardiniers, Poetes by Michel Baridon, Éditions Robert Lafont; Paris, 1998. Themes in the History of Japanese Garden Art by Wybe Kuitert, Hawaii University Press, 2002. "Wisteria toxicity" by E. S. Rondeau in Journal of Toxicology. Clinical Toxicology; Vol. 31 no. 1, 1993, 107–112. The Art of the Japanese Garden, by David and Michiko Young, Tuttle Publishing; Vermont, 2005.